A machine based on the rocking segment system, like the DEMOS and later the Multifix. It is able to run in both directions, which the DEMOS isn't. 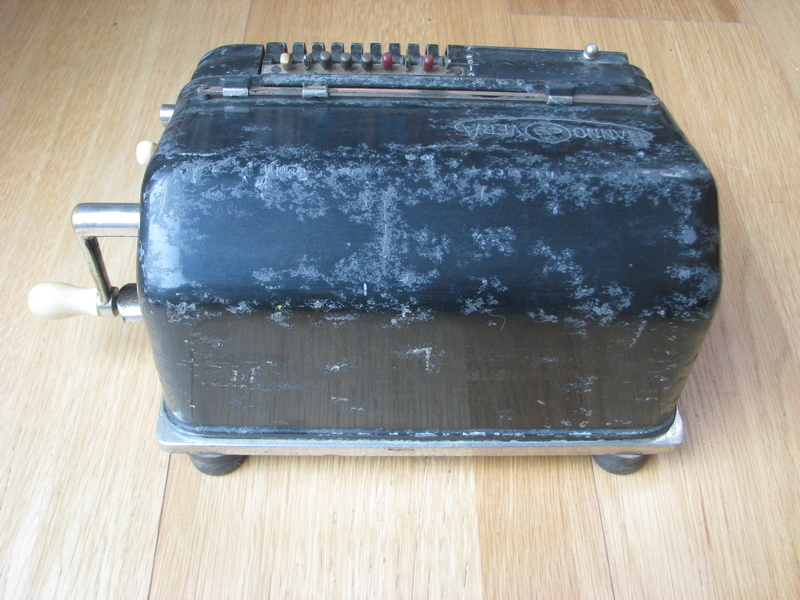 This machine was constructed in 1926, after Albert Schuhbode decided to quit the production of his Odhner type machine, which had led to many conflicts over patent infringements with Brunsviga/GNC. 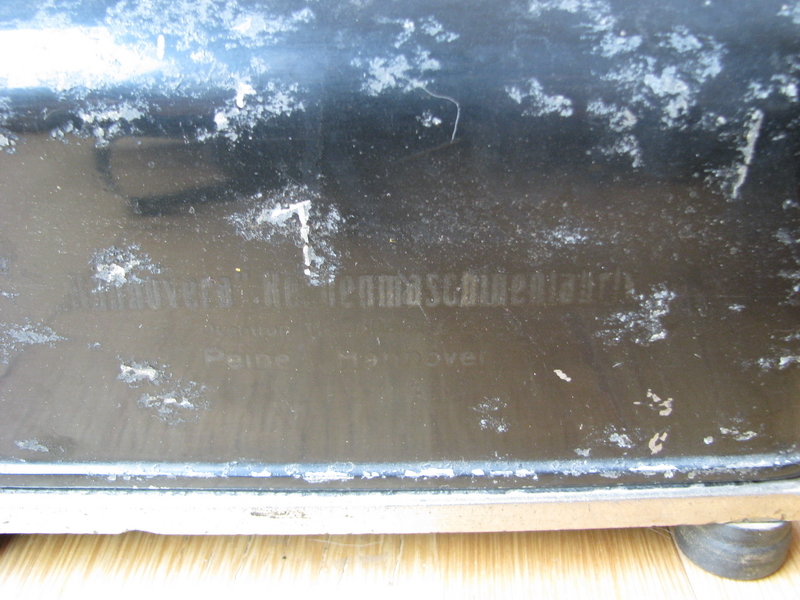 Identical machines can be found branded "EOS" which were made from leftover parts in Switzerland after the Hannovera Rechenmaschinenfabrik went bankrupt in 1933. 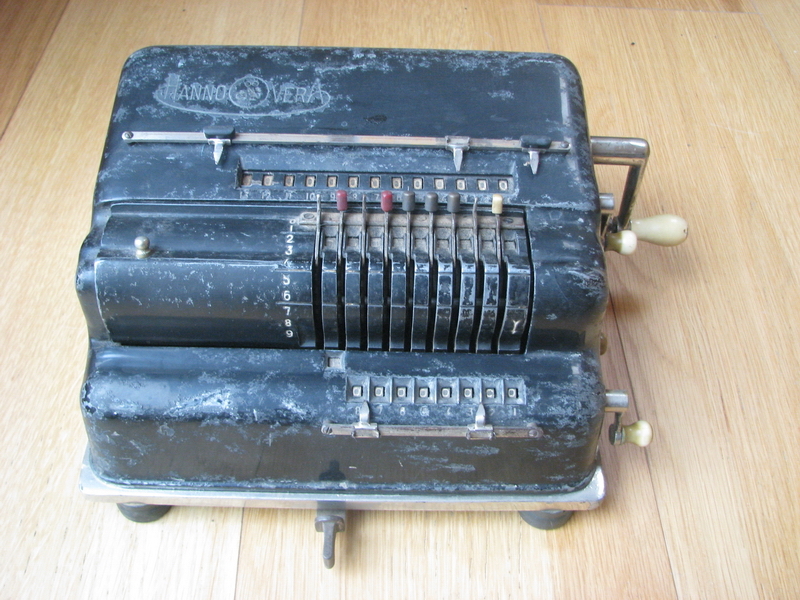 The design was also used for the Hannovera cash registers - whcih was a sensible thing to do, because as a calculator, it was never very succesful. 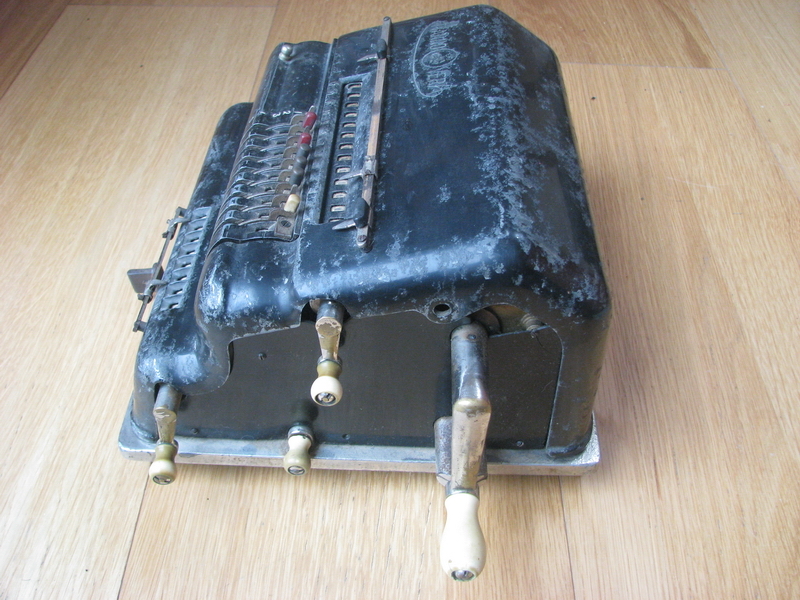 It works fine, and has an automatic reset of the setting levers for addition, however, it is quite large and heavy, certainly when compared to the miniature pinwheel calculators that were available by then. The machine housing is a kind of zinc alloy, which corrodes heavily and makes the paint flake off. Numeral wheels also destroy themselves, but I managed to stick these back together with epoxy and superglue. 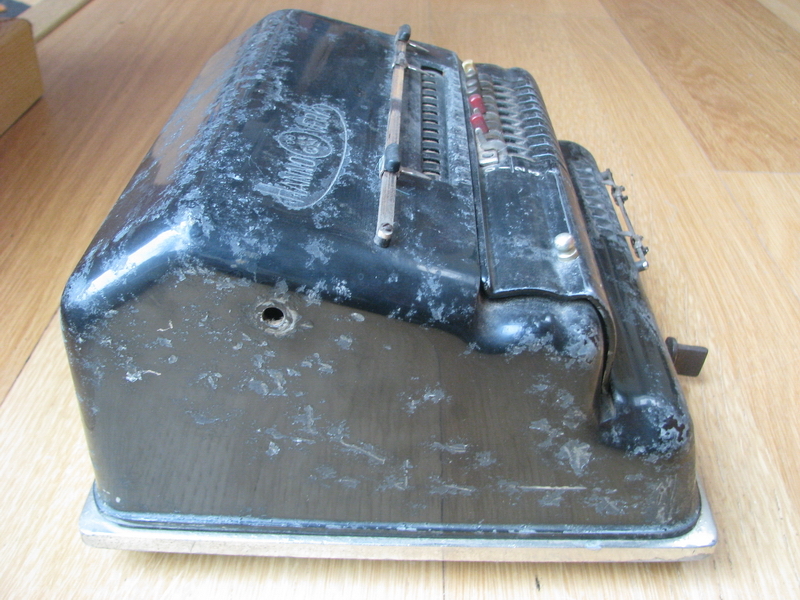 It is a challenge to find a good looking Hannovera CK these days, and mine is no exception!